Kara Amouyal is an associate of the Blake Horwitz Law Firm. Kara has a deep commitment to the public interest and to fighting zealously to protect her clients’ civil rights. 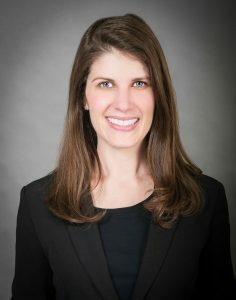 Before joining The Blake Horwitz Law Firm, Kara worked at Prairie State Legal Services in the Fair Housing Project investigating and litigating housing discrimination. Kara also has experience in criminal law, family law, landlord/tenant law, and public benefits law. She has represented clients and worked on cases in a variety of state court and criminal matters including violations of probation, wrongful convictions, juvenile justice, divorce, and child custody, support, and visitation. She is currently working on a large class action law suit against the Chicago Police Department involving the use of unreasonable force. Kara graduated in 2012 from Boston College Law School. While in law school she served as Auction Chair and Alumni Coordinator of the Public Interest Law Foundation and raised over $50,000 to fund public interest legal services. She also served on the Pro Bono Board and as President of the Criminal Justice Law Project.